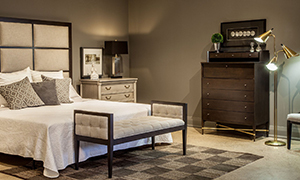 Custom design your bedroom furniture and take your personal sanctuary from good to great! We have just the right pieces for you. 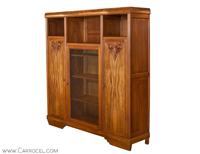 Visit us and take a look at our collection of exotic furniture from around the world. Our stylish showroom displays also provide plenty of redecorating ideas. Should you need any assistance, our knowledgeable showroom staff is always happy and willing to help. Choose custom furniture: Custom designed furniture allows you to decorate your personal oasis with your own unique style. 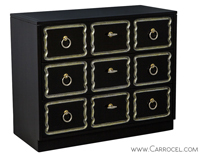 At Carrocel, we have an extensive collection of high-end bedroom furniture that can be tailored to your taste. Size, upholstery, finish, etc. ; we can make it just the way you want. Stylish and comfy accent seating, beautiful armoires, majestic dressers—we have everything to make it a warm, comfortable and stylish space. Plan your layout: Think carefully about where each piece of bedroom furniture will be positioned. For instance, make sure there is enough space on either side of your bed for the nightstands. You don’t want to be bumping into them as you get off the bed. Choose pieces according to the size of your room. Don’t overcrowd it. Clutter interferes with the serenity of a room. Give yourself a view: It’s nice to wake up to a beautiful view. Place your bed where you can see Mother Nature in all her glory. If bedroom dimensions make that a challenge, consider positioning a mirrored dresser where it can reflect the outdoors. Select bedroom wall colour carefully: Most people choose a neutral or calming wall colour for their bedrooms. There are many options, so take time to think about your selection as it will affect your mood. Be inspired by the colour wheel and do a test patch to be absolutely sure. If you like bright colours choose one wall for the bold accent. Pay attention to lighting: Lighting is often neglected, even though it has a critical impact on your comfort as well as functionality. Consider layers of lighting including table lamps, wall sconces and an overhead light. Plush accessories: Treat yourself to a cozy rug that feels like a cloud under your feet. Use soft throws, pillows and cushions to complete your luxurious haven. Come to the Carrocel furniture store for creative decorating ideas and custom designed furniture that will help create the bedroom of your dreams. 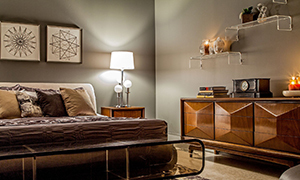 For over 30 years, we have provided high-end bedroom furniture to homeowners in Toronto and across the world. High quality materials, detailed attention and exceptional customer service set our fine furniture store apart. Our knowledge and friendly staff will love to show you around, discuss your decorating ideas and help you select the perfect custom furniture pieces for your home. 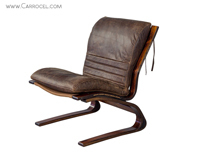 To check out our wide variety of bedroom furniture, visit the Carrocel furniture store today. Call us at 416-999-2525 or contact us online to arrange a free consultation.